James Edward Harden Jr., the reigning MVP, is still out here being great. The Rockets are currently 5th in the Western Conference; largely in part due to Harden’s incredible play this season. As of Monday night’s game against the Phoenix Suns, Harden has now racked up 27 consecutive games of scoring 30 or more points. Harden is in elite company as he and his 27-game streak climb past Wilt Chamberlin (25-game streak) up the 30-point streak list and has moved comfortably into third place behind Wilt Chamberlin, who has, at first place, a 65-game streak, and of course Wilt Chamberlin who has at second place a 35-game streak. It wouldn’t be a far reach to say that James Edward Harden Jr. has started Black History Month off with a bang. 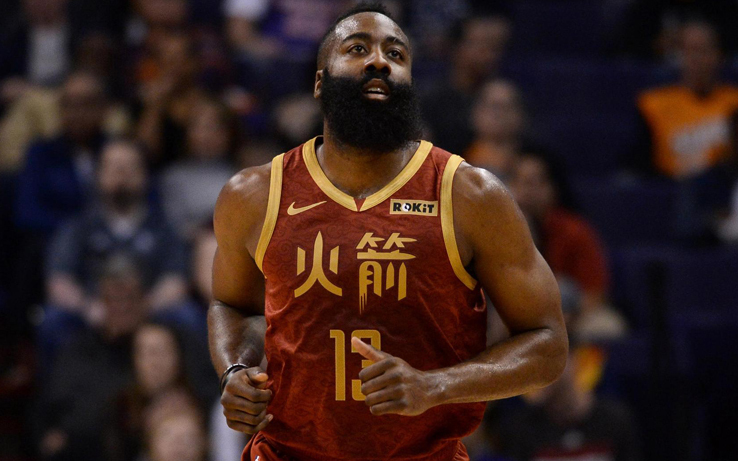 It has gotten to the point where the incredible numbers that Harden has been consistently putting up are being minimized by talking heads, former players, and the ever-present bandwagon of skill-less haters. It’s almost amusing when the argument is made, “Yeah but can he do this in the Playoffs when it counts…” Reality check. Harden has taken up the mantle for doing this presently because every game counts in order to even make it to the Playoffs. Every game counts. That is an undeniable fact. There is a notable sense of humility and humbleness that Harden carries himself with. He maintains that as great as he is playing, the team will improve once he gets his teammates back and they can sync into a rhythm. He maintains that a team is a team. Perhaps it’s time for a collective shift in the way we think about sports. If Sports are truly about a trophy and nothing else, are we ready to erase the plethora of great players who never were in contention for a playoff game, based solely off circumstance (aka team composition or division)? Does a lack of jewelry or trophies determine your value as an athlete? The same argument can be made for the measurement of intelligence through academic testing. If you have a firm understanding of materials and maintain a high GPA, yet score very low on a standardized test, does that mean that you lack intelligence? Based on the “Playoff or Bust” argument, one can have a mediocre GPA at best, score highly on a standardized test and be considered more intelligent based solely off of that. That feels flawed, simply because it is. Chamberlin is fine company to be in by anyone’s standards. What makes this even more compelling is that Harden’s unique style of play has kept his team afloat for years now. He has been doing this. What might be even more incredible is that his usage rate, which is currently 40.2, is on track to becoming the 2nd highest rate in NBA history. It would be interesting to see what would happen if, instead of finding things to gripe about, spectators could celebrate the skill that it takes to maintain these obtuse numbers that have served his team well. To be clear, Harden is doing much more than “keeping his team’s head above water.” Since his streak of incredible play began, he has single-handedly catapulted his team towards to top of the Western Conference standings and put them in a position to play in the post-season. The end.